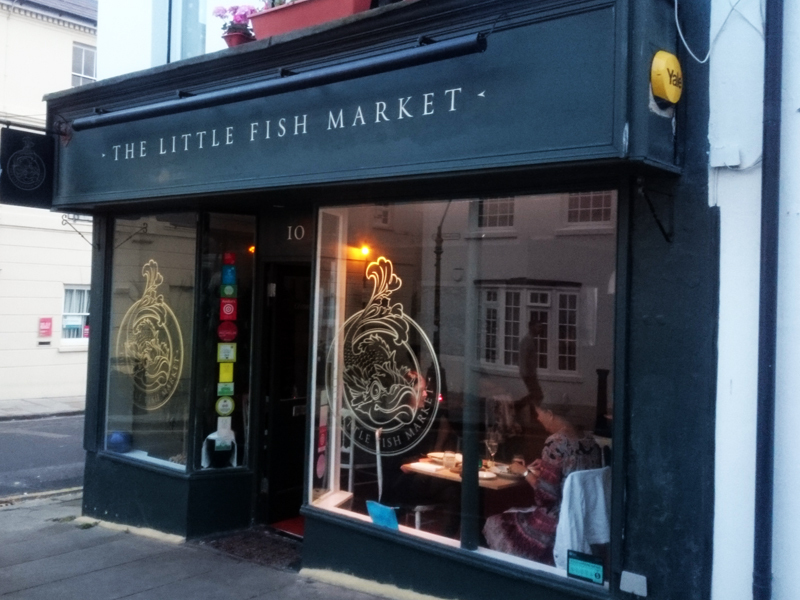 It's has been a good old while since my last visit to Little Fish Market, yet I still have some strong food memories from that meal, which is always a winning sign of good food. But the LFM has evolved since those days, now offering a single five course menu. Even the place seems a little smarter but is still relaxed and pleasant in an upmarket beachy way. One thing that hasn't changed is that Duncan Ray is still the sole chef at work in the small kitchen, and I suppose this restaurant's success is down to his ability to control and set the creative direction of the food. It was actually a real bonus not to have trawl through a menu on the night (lazy me, I know). If you did have any dietary requirements I think they are happy to assist with notice, but for us eat-alls, it was nice to sit down and and relax from the offset. And if you can't be bothered with the wine list either, there is also a wine flight available to match the foods. At £25 per person it is well priced too. From the starter you knew you were in for a special meal. 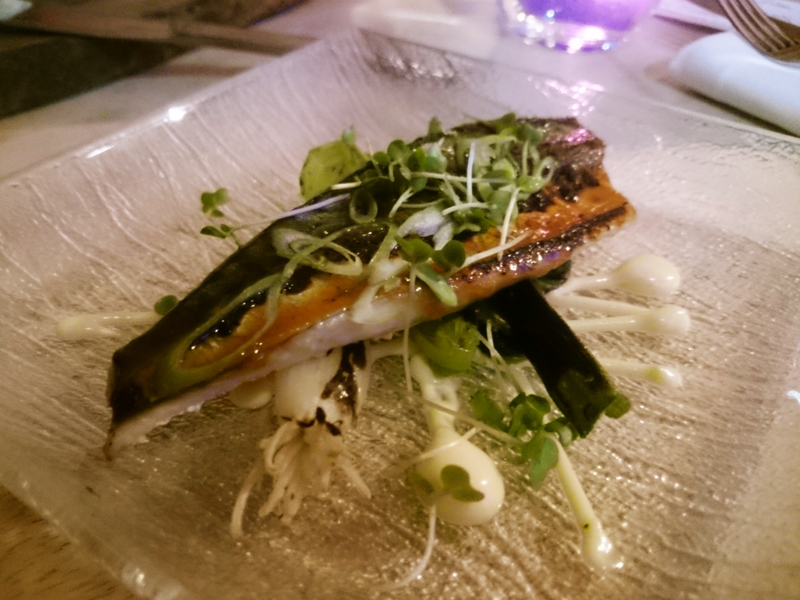 A miso glaze is ideal for the smoke and strength of flavour of mackerel and the spring onion added a sweet element with the yuzu a little lift. The food has simplified and even though it has always been of an exceptional quality, the cooking feels more self-assured. There are no flourishes and certainly no reliance on the smoke and mirrors of trendy processes or edgy accessories on the plate. 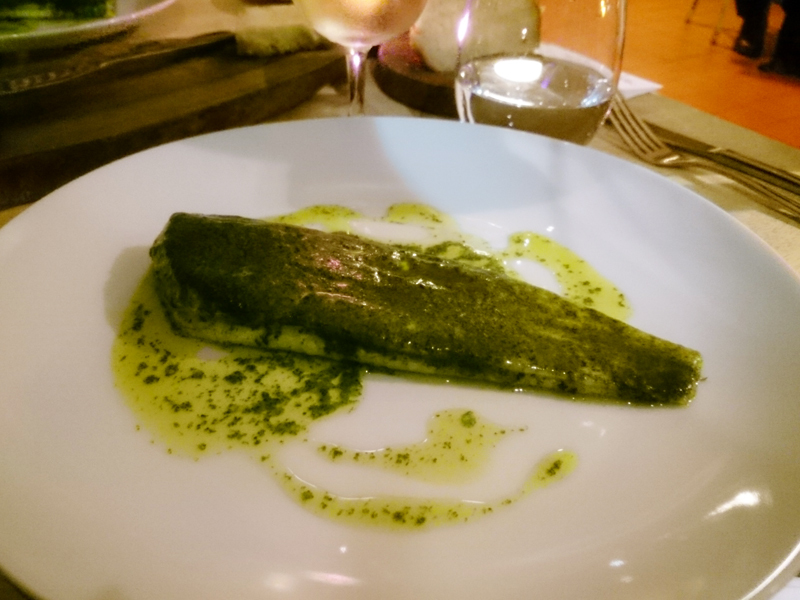 The slip sole in seaweed butter, becoming somewhat a signature plate by the look of things, is exactly that. Being used to pretty garnishes and the like, it does feel a little stark but kudos for that confidence. And when you delve into the dish there is no need for any more at all, it's exquisite. Firm and sweet flesh flaked easily from the bone and the seaweed butter added depth and richness. Perfect. Even thought the focus of LFM is, obviously, fish, the meat dishes are also very good. 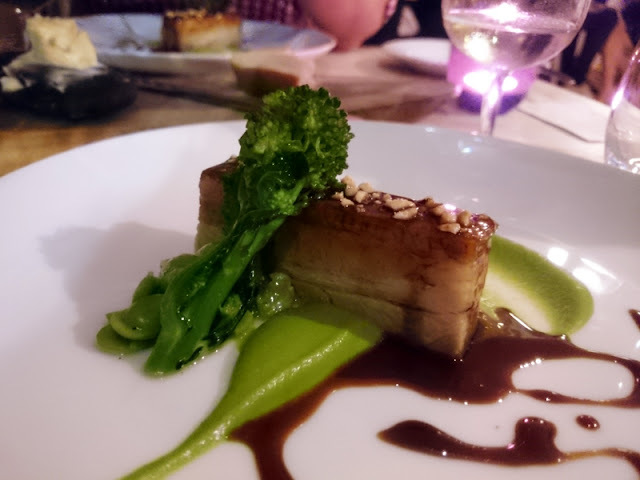 The pork belly was perfectly rendered so you had all of the flavour delivered in a soft, succulent texture. I loved the freshness from the pea puree and broad beans and the decadent, sticky reduction of the sauce. 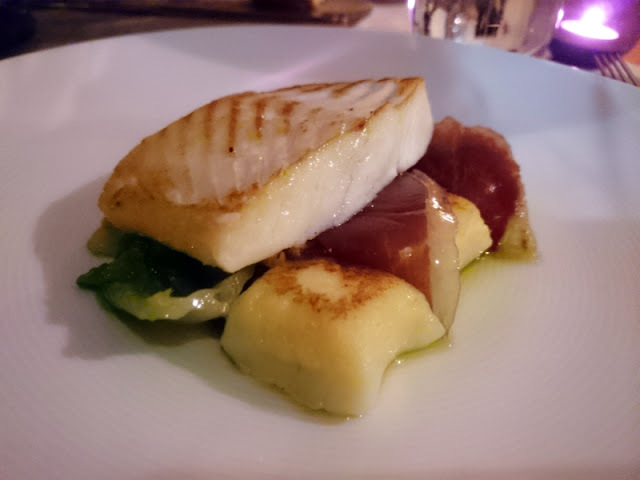 Back to fish, a generous portion of halibut was served with pillow soft Parmesan gnocchi, pickled mushrooms and crisp Parma ham. This was the most complex course and I would have loved to have seen it stripped back like the other dishes, but was still hugely enjoyable. 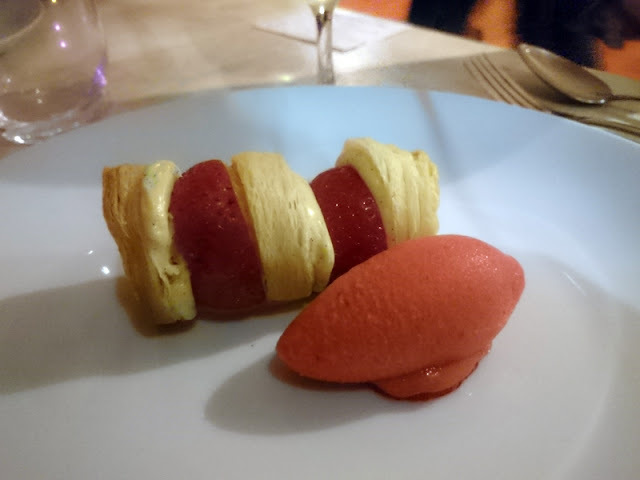 We finished with a light strawberry mille-feuille with wild strawberry sorbet, perfect for the warm evening and to cleanse the palate. This is exactly the fresh dessert I prefer really over anything sweet and chocolate based. So a pretty faultless meal and at £50 for all the courses, I would say exceptional value for money. 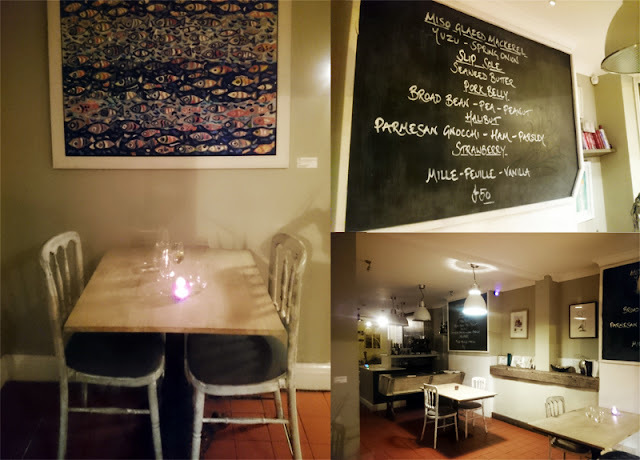 The attention to detail and pure focus on the food makes me really struggle to think of a better restaurant in Brighton. This was actually my birthday treat from the husband so eating out as much as I do, I want somewhere really special and was so pleased we chose Little Fish Market, for an occasion it's an absolute must. Most people with his talent would be shouting it from the rooftops, but Duncan works diligently and quietly at mastering his craft here, and the location, tucked away in the residential streets of Hove, suits it perfectly. But if you haven't already, do go and discover it for yourself.